What better way to glug down your favorite beverage but out of the head of everyone’s number one movie villain, Darth Vader. While it’s officially being called a “stein” thanks to its flip-top head, the ceramic Dark Lord mug is perfect for those of us who like a really big cup of coffee. The oversize mug has a 24 ounce capacity, more than enough joe to keep you buzzing all morning long. Of course, you’re not allowed to add any cream or sugar, as Darth only drinks his java black. If you prefer a different kind of buzz, you can always fill it with beer and bring it to toast at next year’s Oktoberfest. 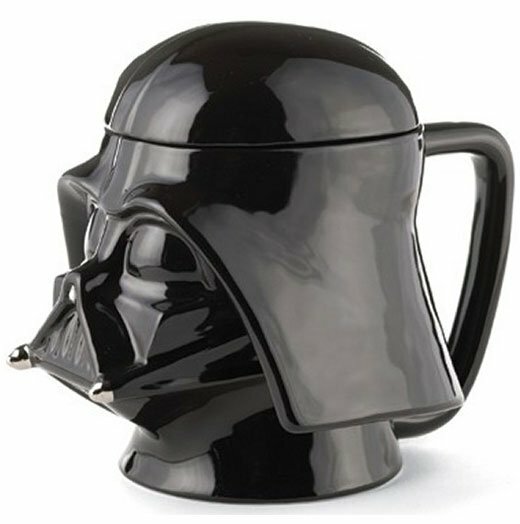 The Darth Vader Stein is available from Amazon for around $14 USD.